Firefighters from around the Interior are battling a 30-acre wildfire by a residential area in Delta Junction this afternoon. State Forestry Division spokesman Tim Mowry says the fire was reported around 1 p.m. The National Weather Service has issued a wind advisory effective until 6 a.m. Saturday for the area while there are high winds. Mowry says the fire is burning in a residential area in the northern part of town. “Tanana Loop Extension – there’s quite a few people who live on that road,” Mowry said. Delta city officials have opened up the community center in town in case evacuations are ordered, but Mowry says that hadn’t happened as of 3:30 this afternoon. 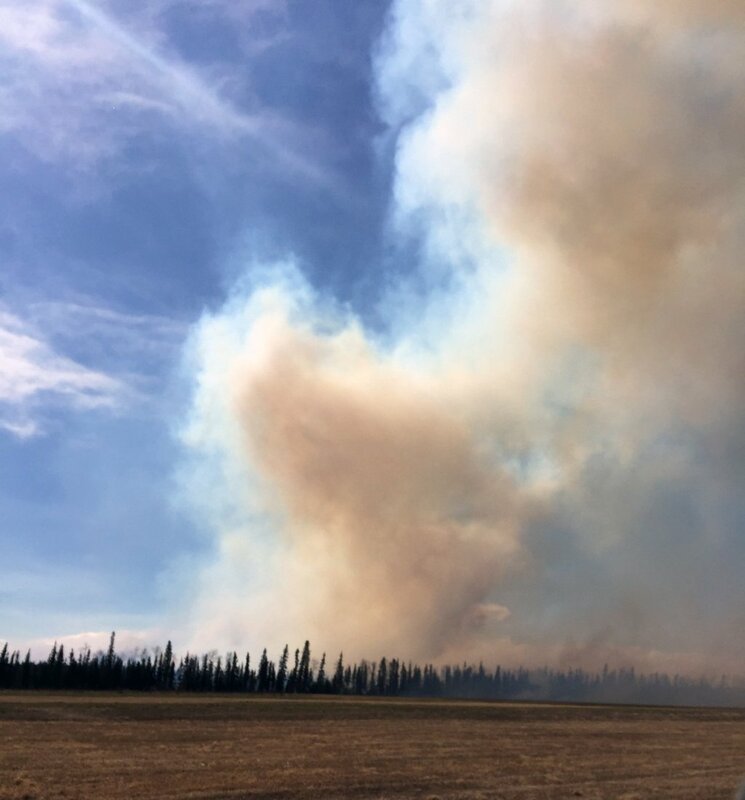 Volunteers from Delta city and Rural Deltana fire departments along with Forestry equipment and firefighters out of Delta, Tok and Fairbanks are working to suppress the blaze. Mowry says an aerial tanker out of Palmer dropped a load of retardant this afternoon. “Kids are being kept at the school rather than being shipped home, just to make sure that things are safe and that school buses aren’t getting in the way,” Mowry said. This is the Fairbanks Forestry office’s first significant wildfire of the season. Mowry says the fire isn’t yet contained, and he had no estimate on when it might be. Next articleWhat does it take to legally immigrate to America?